Quizzes have the ability to drive massive chunks of traffic, but that’s not the end of the story. For marketers like us, we need a purpose for driving traffic, eyeballs alone are not the goal. To help connect the dots between quizzes and ROI, here is the complete guide to making and using quizzes. This guide is based on analyzing over 2000 quizzes I’ve helped brands to create. Read on as I reveal insider knowledge of quizzes. Writing quizzes is a different task than most other forms of content. Instead of writing for a mass audience through an article or video, you are communicating directly with one person through the portal of a quiz. This personal connection is a big part of the reason why quizzes are so popular, but it takes a special set of tools to make the connection real. Here are the pieces that make up a great quiz. Before you even get into creating a quiz, you need a good topic to base it on – here are a couple of things to keep in mind. Be hyper-relevant. Don’t try to reach every person in the world with your first quiz. Identifying with one group (even if it’s a small one) who care about your quiz will end up driving more traffic than creating a quiz that vaguely addresses everyone. 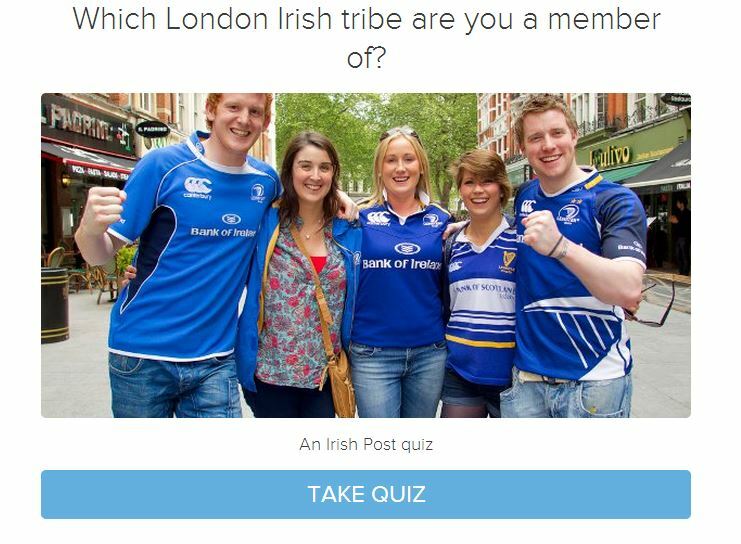 The best example of this comes from the Irish Post, who made a quiz that only applied to the 100,000 Irish people living in London. The quiz was so specific and applied so directly to that small group of people that is was taken by 10,000 of the 100,000 people in the target audience. Make the primary purpose to show your visitors a good time. Be goofy, be fun, no matter what industry you are in, no one is too good for a laugh. Inject your personality into the quiz and make it like an enjoyable conversation. Just like with text posts, the headline is vital to driving click-through. For quizzes, there are several tactics that work well. The ‘Actually’ title: quizzes can do more than just stating facts, they can issue a challenge. Instead of putting a post in list format with various findings, you can use a quiz to test how much your users really know. The ‘Which (blank) are you?’ title: ’Which social justice advocate are you?’ this is a personality quiz with the personalities replaced by people or products. Amnesty International created an awesome quiz using this formula to promote social justice around the world and ended up reaching 25,000 new people. The celebrity comparison title: ‘Which celebrity should be your roommate?’ and all quizzes that incorporate celebrities. We all watch movies and TV shows, so incorporating celebrities is only natural. How (blank) are you? ’How Smart are You?’ this is a simple altercation of an assessment that’s wrapped in a fun introspective way. To illustrate just how much a quiz title can impact your content, look at Buzzfeed quiz titles (which average over 1,000,000 views) compared with titles from other sites. The quizzes on the left from Buzzfeed are much more provocative and engaging than those on the right, even though the core content of the left and right columns are essentially the same. Follow the formulas above to reach more people with your title and stand out from the noise on social media. When writing quiz questions, imagine that you are sitting in a nice pub having drinks with an ideal customer. Make sure every question would be appropriate in that situation and that will set the tone for how your quiz questions get written. Here are some tips on how to achieve that goal. Speak directly to a person. Pick one person who you know would really enjoy your quiz and write directly to them. Quizzes are unique because they are a one-to-one medium where you can speak directly to another person so take advantage of that by using a personal tone. Pick a tone and stick with it. Buzzfeed uses a snarky tone, Zimbio uses a teenage rebel tone, and you’ll have to come up with your own. Because quizzes are so personal, it helps to come up with a way of posing questions and results that have some fun. Don’t drone on. The power of quizzes is that they allow your web visitors to voice their own opinion. Don’t make your questions so long-winded where they take away from the time you give quiz-takers to express themselves. Don’t ask too many questions. 80% of the top performing quizzes have 6-15 questions. That range of questions will take 2-3 minutes to complete, which is enough time to build some rapport with quiz takers, but not so long that you’ll start to bore people. Quizzes get shared for two reasons. First, we are all a bit narcissistic and like to talk about ourselves, and second we all like to look good. Quiz results should provide for both of those reasons, here’s how you can accomplish that. Be overwhelmingly positive. We really like looking good on social media. Keep your quiz results positive to feed into that desire. Stay honest. Even when you are staying positive, your quiz takers will see right through you if that positivity isn’t based in truth. For every result there is something positive to start with. For example, even if you tell someone they are a truck as their personality, start with how strong and reliable they are. Prepare for sharing. There is a specific formula for how quizzes get shared. It goes like this: “I got (my result)(title of the quiz)” so for example “I got Portland Native – what’s your Portland IQ?” when writing your quiz results, make sure they are set up for this formula so that when you do get shared you’ll maximize traffic back to your site. Don’t forget a call to action. Once you give people a result based on their answers to your questions, they start to get curious. Quiz results are the perfect place to provide a link to learn more about your result and click through to check out more content. To sum up my advice for creating quizzes, refer to the Shaq rule. The Shaq rule states that your social media content should be 85% to entertain, 10% to inform, and 5% to sell. Quizzes should be created primarily to be enjoyed, and the call-to-action should be a natural add-on. It’s great to know how to write a quiz, but it’s even better to have a strategy for how quizzes will become part of your overall marketing strategy. Here are three different ways to use quizzes that will boost your efforts. 1. 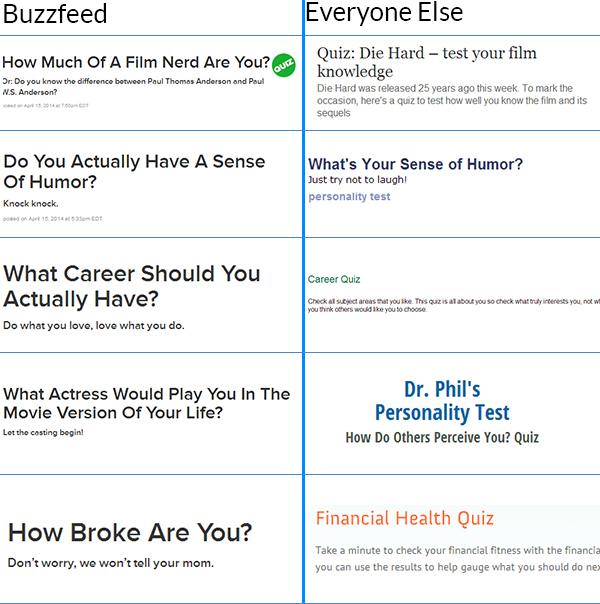 Use quizzes to drive traffic. “What’s Your Portland IQ?” was the most popular piece of content for Portland Monthly Magazine for a month running. On a site where the average post sees 500 visits, the quiz received over 30,000. Additionally, the quiz was shared more than 2500 times across social media sites and sparked discussions among readers. The quiz was effective for a few reasons. The topic was perfect. It doesn’t get much better than doing a city IQ quiz for a city magazine. The questions were spot on. They have personality, yet remain simple. The results were share-able. Each quiz result was fun and unique. “I got Portland Native – What’s Your Portland IQ?” is a compelling proposition for any Portland citizen on social media. There was no catch. For a quiz to effectively drive traffic just for fun, you should abstain from trying to sell anything. The pure traffic method is best for content sites that make money off of eyeballs. The key to making an excellent quiz like this is to know your audience. Portland Monthly knows that Portland people are very passionate about their city, and an IQ quiz was sure to spark controversy and traffic. A second way to use quizzes is for email list growth. Email subscribers are worth anywhere between $35 and $65 depending on your industry, and email marketing remains one of the top ways to drive sales. Lead generation through quizzes works like this: create a series of quiz questions on your topic of choice. Then, just before the results of the quiz, ask for permission to follow up by email about the topic covered in your quiz. On average, quizzes receive a 50% opt-in rate. 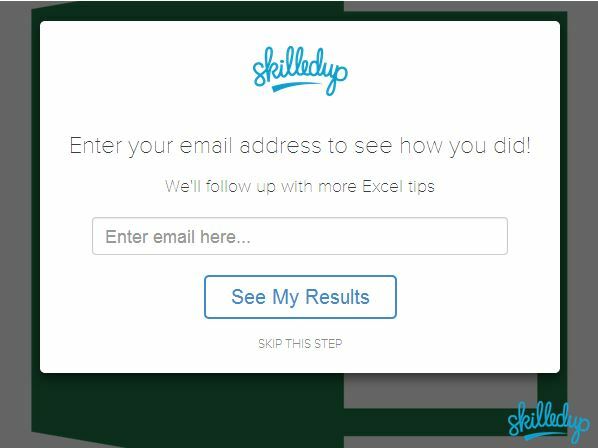 Half of all people who finish a quiz will enter an email address. How to optimize your quiz for lead generation. Have enough questions to provoke thought. To build enough rapport with quiz takers, have at least eight questions which will take two minutes to complete – enough time to create a small bond with the quiz takers. Customize your call to action. Quizzes can have hyper-relevant calls to action, take advantage of that. For ecommerce sites, quizzes can be used to offer up personalized product recommendations. 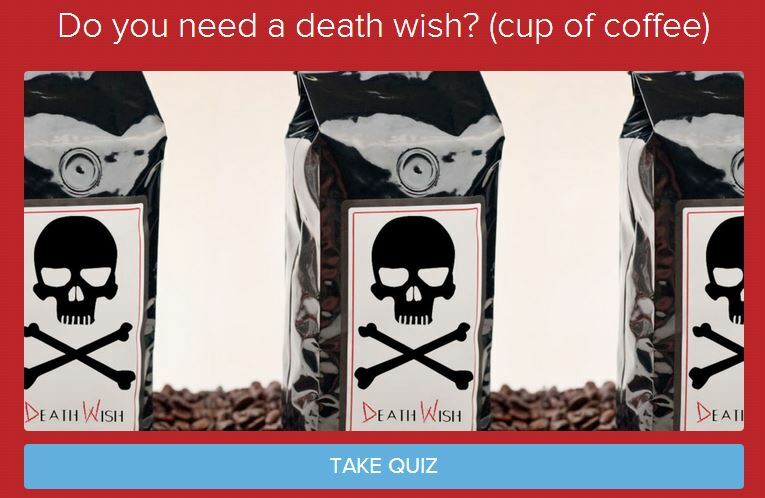 One of my favorite companies, Death Wish Coffee (no affiliation, they are just awesome), created a quiz that helps you find the ideal kind of coffee for you based off of how badly you need a “Death Wish”. The quiz links back to a sales page for Death Wish. Out of 250 people who took the quiz after finding it on the Death Wish Coffee Facebook page, 25 made coffee purchases, a 10% cohort conversion rate. If you sell a variety of products in your ecommerce store, you can use a personality quiz to help visitors find the product that matches their interests, then include a link to buy that product with a discount code. Quizzes can blow up, it happened to Playbuzz and it can happen to you. While there is no way to guarantee success, there are principles to follow to increase your chances at virality. Now it’s time for you to get involved and start creating quizzes as a strategic part of your content marketing strategy. It’s awards season here at Econsultancy as the entries detailing inspirational case studies from a huge range of companies continue to roll in. You have till 24 September 2014 to enter, and in order to give you inspiration for your own entry we’ve rounded up some of the best B2B case studies we received in 2013. For more advice on how to write your entry, read David Moth’s 10 tips for writing a stand out awards entry for The Digitals.